Are you more of an occasional winter-sports goer? Save on space and on skiwear for kids that are growing faster each year. 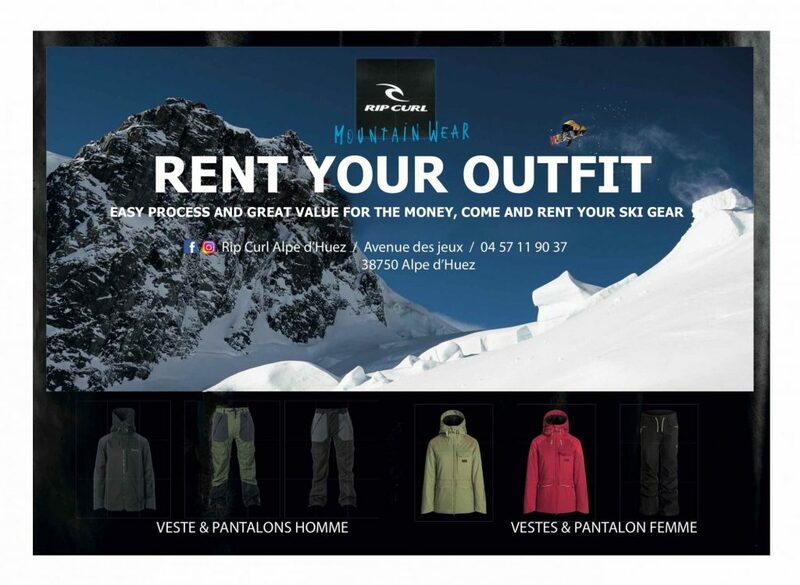 Renting skiwear like ski suits, jackets and ski-pants is now available in Alpe d’Huez. Renting ski wear isn’t only ‘environmentally friendly’ but it also means that you don’t have to fill wardrobe space with bulky skiwear that you bring out for just a few days per year. Regarding more technically advanced ski wear, renting means that you can always try out the latest innovations. Fashionistas will love keeping up-to-date with the winter trends as every season brings a new collection that can be tried out without breaking the bank and filling up the cupboards to the brim. It’s also a great solution for parents whose children are growing taller every year as there is no need to buy a brand new outfit each winter season. Renting ski outfits also means that you can travel lighter as you can pick up your skiwear rental on arrival in the resort. Technically advanced jackets and ski pants for men and women are available for rental for €25 a day. (Price new = €470 for an adult outfit). There is also a range for children ages 8 years plus. Where can I rent skiwear?